Placing an email form within your eBay auction is a great way for your potential bidders to contact you or ask you questions without exposing your email address to SPAM. Addtionally it allows you to capture specific details from your customers. 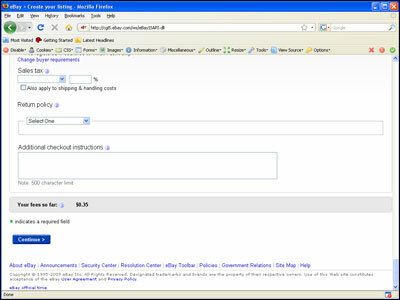 The tutorial below provides step by step instructions for quickly adding an email form to your eBay auctions. To get started, you must first have your form HTML code already generated and ready for insertion. The best way to do this is with a free form creation service such as myContactForm.com. 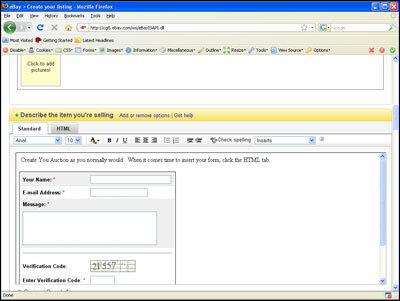 Please read our detailed article about using myContactForm.com. a. 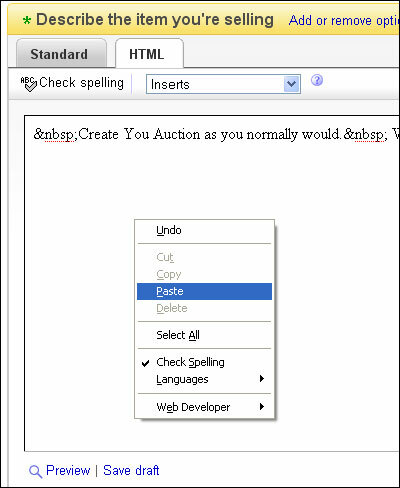 Create your new auction as your would normally do in eBay. 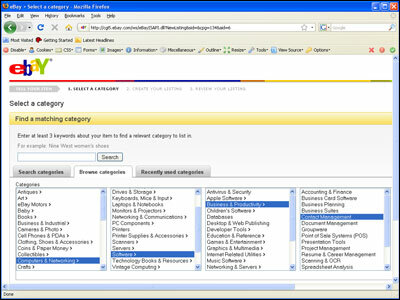 First select your category. b. Continue creating your auction. When you get to the Describe the item you're selling box, enter your description as you normally would. 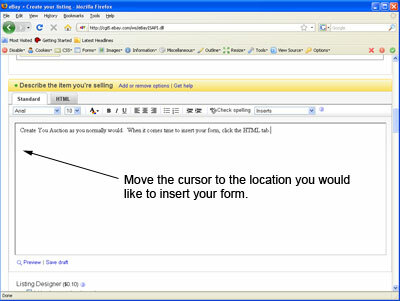 When you get to the point that you would like to insert an email form, move the cursor to that location. d. At the point in the auction description where you would like the form, paste the form HTML code (Edit > Paste, or CTRL+V, or Right Click and Select Paste). e. Once you have pasted your code, you will need to make a few changes manually in order to ensure that eBay formats it correctly. 1. Get rid of any new lines (hard returns) that are within the HTML code. When eBay goes to publish the post, it will interpret these as new lines and replace them with line breaks <br>, adding excessive white space to your form. 2. 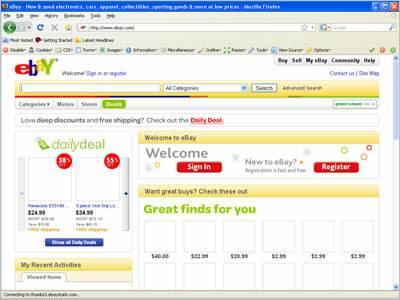 Make sure the elements of your form work with the eBay layout. I've found that making the form too wide or individual question fields too wide will often break the form. You may need to experiment with your form in order to ensure it works with the layout. Typically 85% or 400 pixels wide for your form will work well. f. Click the Standard tab to preview your form. 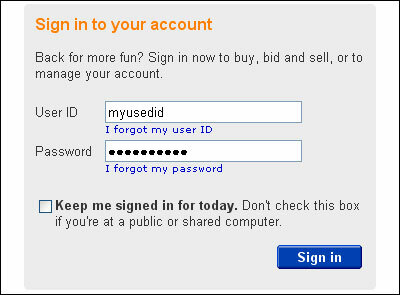 g. Finish creating your eBay auction as you normally would.